A graduate of The Royal Danish Academy of Fine Arts, Urd Moll Gundermann has worked with a number of international companies in the textile, fashion, print and industrial design industries. Since 2012, she’s served as designer and product developer at Linie Design, one of the largest developers and wholesalers of handmade rugs in Europe. Her Memo Rug (2016) is woven from pure wool, with fringe on both ends. 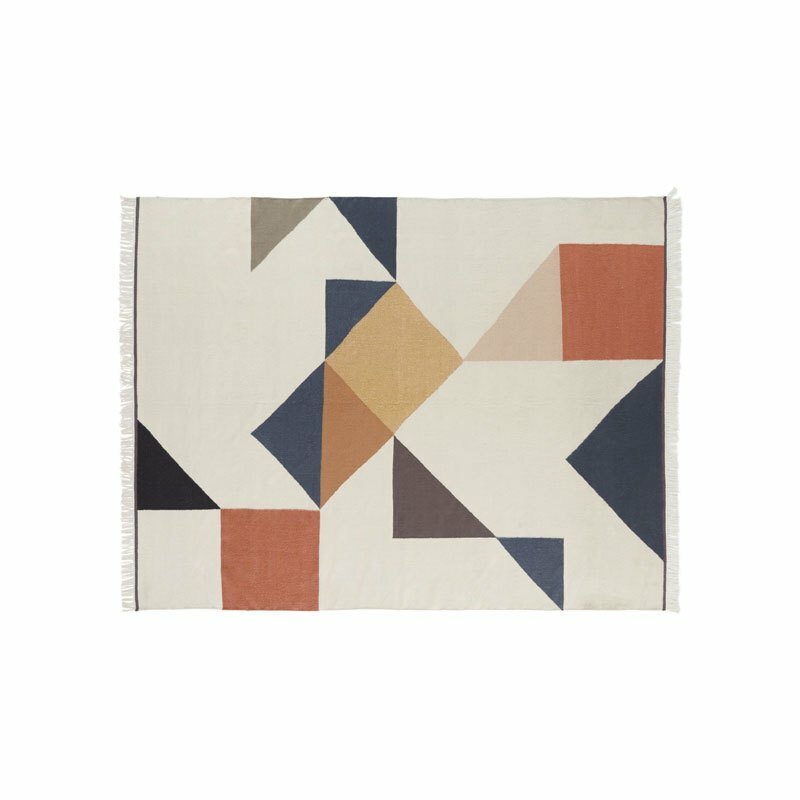 It features geometric shapes in neutral colors that captivate the eye without dominating the room. Linie is a member of Care & Fair, an organization created to help fight illegal child labor and improve living conditions of carpet knotters and their families in India, Nepal and Pakistan. Made in India.